You’re about to enter your senior year at Pratt in the spring. Do you know what direction of illustration you’d like to go in for your final projects? I’m definitely doing another children’s book, although I don’t know what yet! I’ll have to ruminate over winter break. For my other senior project, I actually have no idea. I may just work on a series of promotional pieces to expand my portfolio, but I would like for the body of work to have a common thread. I know that in the Fall of 2011 I will be doing a lot of the characters that I’ve created in 3D, but not just yet for Spring! I’m really trying to find a way of working right now. What kind of stories do you like to illustrate? Any favorite subjects? I love to draw kids, especially in the classroom setting. I also love to play with drawing kids and animals together–except I put the animals on “human-level.” I think it makes a great story whenever humans and animals are nonchalantly interacting. I probably love to illustrate that subject so much because when I was a kid I wanted nothing more than to have some sort of animal who could converse with me in fluent English. That was everyone’s fantasy, right? Who are some of your artistic heros? Gosh there are a lot. Walt Disney and Pixar, for starters, not just for the art but for the amazing story and character developments. 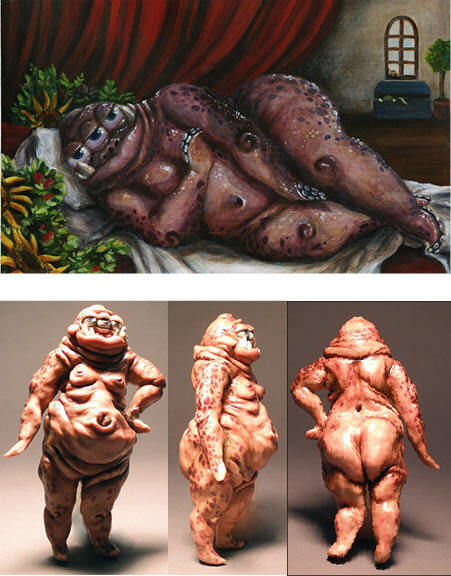 Tim Burton’s animation, as well. As far as illustrators go: Norman Rockwell, Maurice Sendak, Chris van Allsburg, David Weisner, Mary Blair. Two new favorites of mine are Suzy Lee and Peter Brown. As far as writer-illustrators, I will not ever respect any other poets as highly as I will ever respect Shel Silverstein or Dr. Seuss. 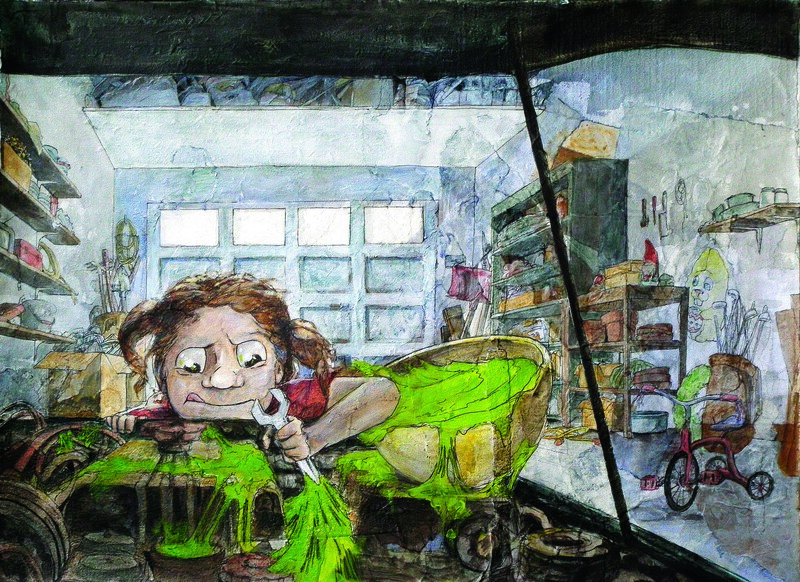 As a Peer Counselor, what career advice would you give to aspiring illustration students? Well, I highly recommend that you take a class called “Self Promotion.” Not only will it give you some really valuable information about getting jobs and internships, but it will force you to make a great resume, portfolio, and website. And you do NEED a website. I shouldn’t talk, because I don’t have one yet, but I will by the end of the semester! While we’re on the subject of portfolios, make sure that every single assignment that you get in your classes is completed to a level of sophisticated finish. If that means that you don’t sleep for the night, that means you don’t sleep for the night. Trust me: when you are putting together your portfolio, and you have those great pieces, the bags under your eyes instantly become superfluous. In addition, make sure that every single assignment that you do caters to your career agenda. Put it through your creative filter. Think of the assignment as a point of departure. Do what you do. EVERYONE has a different “style.” Don’t get stressed. Look for patterns in the way you work or design a page. Sometimes just exaggerating these preexisting patterns can help you find your own visual language. Stay more concerned with making each piece your best piece yet. You WILL be judged by the weakest piece in your portfolio. Do NOT underestimate the importance of type. Take Type 3 or Graphic Design 1. Take it with a great teacher. You’ll go crazy during, but will be really happy you did afterwards. Seriously. Make sure you know what’s going on at Career Services. The counselors are there to help you. Make connections with them and the teachers you love. Keep your eyes open for events posted on the bulletin boards around campus and friend “Peer to Peer” on facebook, because we totally keep you up to date on events you should be attending (like resume workshops, internship fairs, lectures from successful alumni, etc.). Last one, I promise: This sounds weird, but always be friendly with people. The kids in your major, the kids in other majors, the kids at other art schools. Strangers! Because guess what: A little kindness goes a long way and so does karma. Networking doesn’t start or stop at any specific time. NEVER cut off a potential connection. The person you flipped off on the way to your interview could be your interviewer. What career advice would you give to yourself in the next year? Hi, it’s yours truly! Don’t worry about sleeping, just worry about getting plenty of coffee and exercise. Keep pushing yourself and get an internship for this Spring. Focus on perfecting your portfolio and updating your website. Your getting really close to finding your personal voice; let it talk and listen to what it has to say, because then it will get stronger on its own. There are other things to keep in mind, but none that I can think of at the moment, except to keep worshipping Pat Cummings, and to believe in yourself. On Saturday, I started my first day at the new job (which I found thanks to Pratt’s Career Services job listings, not Craigslist, thankyouverymuch!) – as a Party Assistant at Nairobi’s Knapsack Toy and Play Gallery! It’s an adorable little boutique and play space down the road in Crown Heights, Brooklyn, full of multicultural and hand-picked toys, gifts, and other fun stuff for the 8-and-under set. My job, as Party Assistant, is to help out with the birthday parties that happen every weekend, from setting up/cleaning up to serving food, playing games and doing crafts with the kids, and generally just being handy. For a first day, I think it went really well? It’s kind of a new experience to work with kids that are brand-new to you every 3 hours, and all of whom have parents standing around (not like camp OR school!). But all of the clientele are super-lovely . . . friendly, educated, diverse – the type of people that make me want to have some babies and be a hip Brooklyn parent! The best part of the job, hands down, are the people. I’m constantly meeting new families and getting to be in their lives, if only for a moment, when they are at their happiest. It’s a funny feeling to be a part of a special celebration, 2-3 times a week, every week. I kept thinking that I am on the brink of some great revelation about birthdays . . . I guess I’ll have to let you know when that happens. In the meantime, check out my all-time favorite birthday book – perfect for the little one in your life who is about to get a year older. 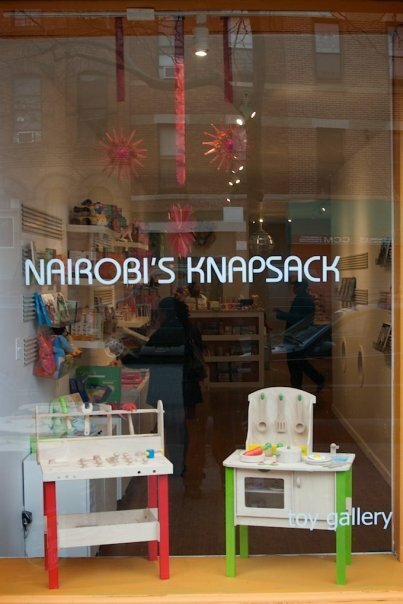 And if you’re in Brooklyn, don’t forget to check out Nairobi’s Knapsack, become a fan of the store and buy some toys! 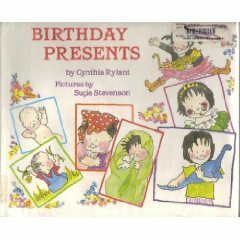 Birthday Presents by Cynthia Rylant (Scholastic, 1991).